Apply 5S Techniques - AAT Training Hub Pte. Ltd. 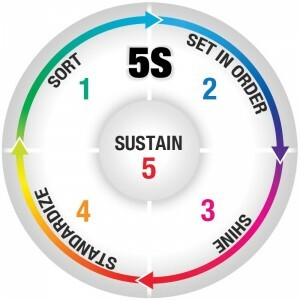 This module specifies the knowledge and application skills needed for an employee to Apply 5S Techniques (a structured approach to housekeeping) to their own job and work area. This will include Clearing unnecessary items from work area, Organising work area in an orderly manner, Cleaning work area, Maintaining work area cleanliness and Maintaining self-discipline in work area. All workers especially for the technical and operations-related jobs in manufacturing, logistics, real estate maintenance and management, and service-related technical sectors.